Anoola pink collar shift dress. 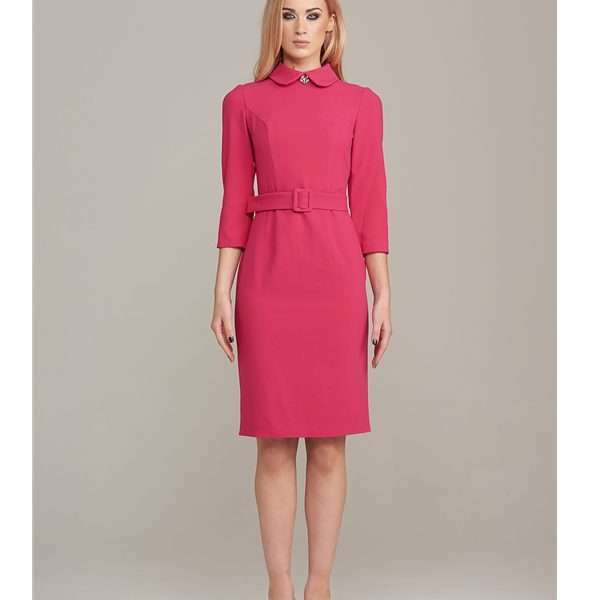 Look pretty in pink this simple shift dress by Anoola featuring a classic peter pan collar. This stylish and simple shift shape dress is made from soft luxurious fabric and comes with a detachable belt with covered buckle to cinch the waist. The dress features a beautiful silver brooch pin at the neck to add. 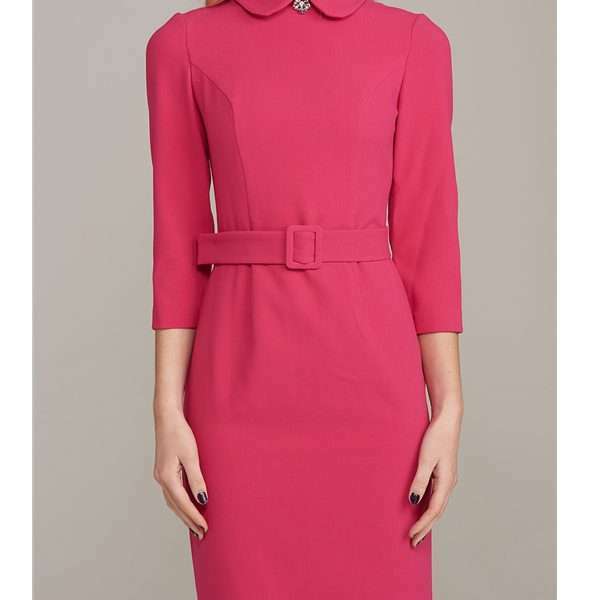 A wonderful choice for those wanting more coverage in an occasion wear outfit and makes an excellent choice for the mother of the bride or groom. Blush Boutique have sourced Anoola to add to our occasion wear collection, for those searching for something a little different. Design director Anna believes that Anoola is the solution for ladies who desire the best in quality, design and fabrics. She believes a woman should look fantastic and feel comfortable.“We aim to emphasise the natural beauty of our clients by offering very special designs that feel sensuous to the touch and allow the body to breath as nature intended. You will love wearing these special creations. Anoolas entire collection has an underlying theme of the utmost femininity and lady like glamour which will make sure that you stand out by wearing these unique outfits.